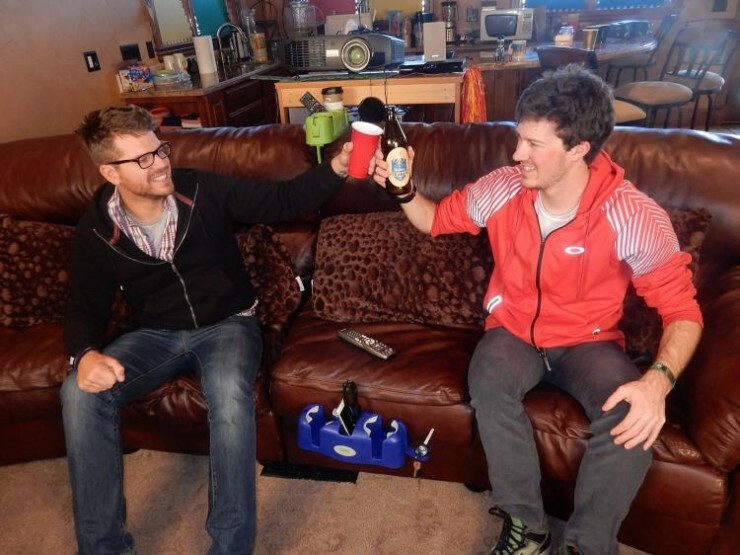 The Cupsy Sofa Drink Organizer Is Indispensable | OhGizmo! So you can’t afford a fancy La-Z-Boy with a fancy drink holder next to the seat? 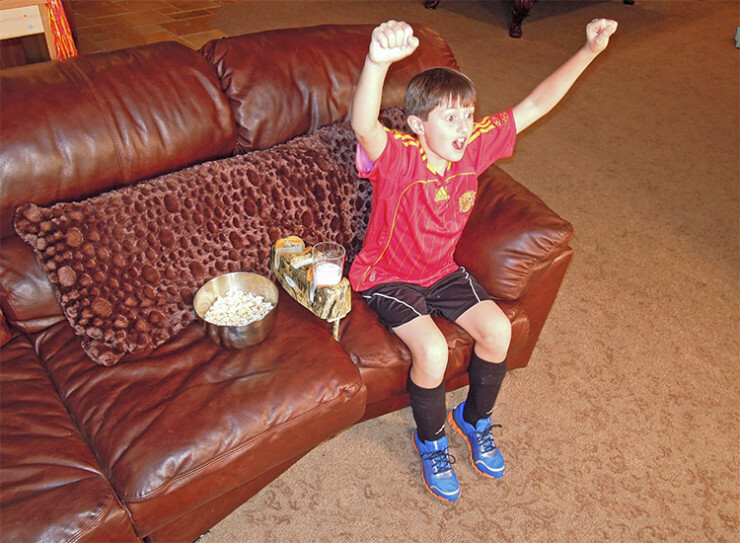 Well that’s fine, son, it doesn’t mean you have to deprive yourself of the convenience afforded by those elitist La-Z-Boy-sittin’ oligarchs: get the Cupsy Sofa and Couch Beverage Organizer. 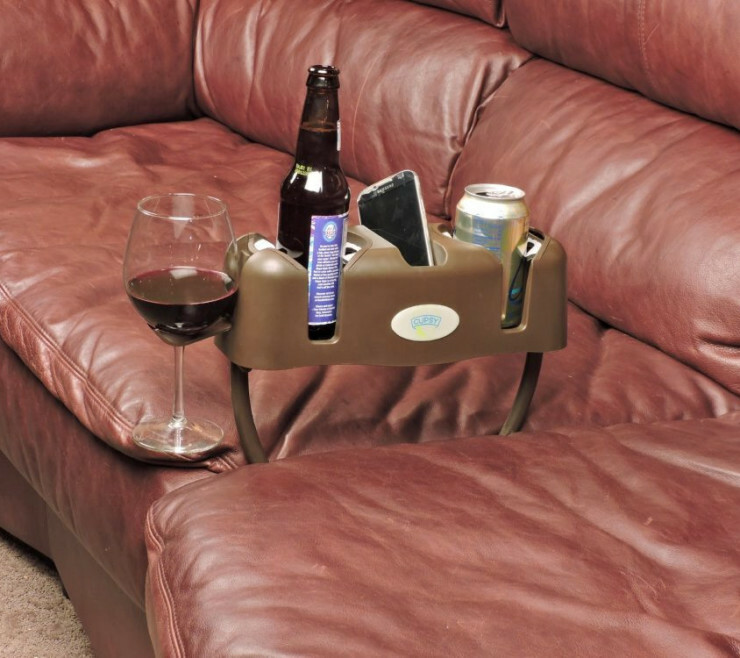 The folding legs means it can solidly be wedged between two sofa cushions, giving you easy and immediate access two cup holders, a center container for a TV remote, a cell phone, or anything else, as well as two fold-down arms for wine cups. It’s lightweight, repositionable, and the legs are removable so you can use it in even more situations, like on floaters in the pool. That’s a lot of convenience for $30.